If you can get a friend to sign up with you we can give you an additional $100 off your tuition. Also, check out below our certified 150 Hour TEFL correspondence course for only $550 ($100 off the normal price of $650, so only $550!!! if you sign up with a friend or if you go to Korea placed through us!!! TEFL 150 Hour Correspondence Course: normal price $650, but only $550 with discount, see below for details. The class is typically 150 hours of reading, quizzes, homework and papers. This can be finished as fast as 1 month but on average students finish this course within 3 months, but there is no time limit on completing this course. 20 hours of the 150 Hour course is a practicum requirement that can be completed by volunteer teaching at a school, church or an ESL school. If you are currently teaching ESL, the practicum requirement can be waived. One can also finish the course after arriving in Korea and we can count your first 20 hours of teaching as your practicum requirement. $ 650 [Note: Payment plan is possible with the 150 Hour Correspondence Course. A $325 first payment is due at registration and another payment of $325 is due thirty days later. When the 10th module is turned in graded then assessed and if a passing grade has been achieved then the certificate is then awarded. Discounts cannot be applied to the tuition if one uses the payment plan option. A $100 discount can be applied the $650 tuition if one is placed in Korea through TEIK and one uses TEIK's optional visa processing service or if one signs up for the 150 Hour on-line TEFL program with a friend. There are several ways you can earn your TEFL Certificate, such as by registering for a university program, which can be very expensive and lengthy; stateside TEFL schools, which can be expensive; TEFL schools abroad, which is not always practical; on-line TEFL programs, like the TEFL professional course, which is a great option for those who want an interactive on-line course, but for those who want the same qualification, but want to only spend half the money then the TEFLUSA distance TEFL Course is for you. The TEFLUSA distance course is most appropriate for those who want to get a certified 150 hour TEFL Certification at their own pace and who: 1) want to invest less money [50%-70% cheaper than on-line courses] 2) need less supervision 3) want to study at their own pace 4) want to work while studying 5) has not been in school recently or who are currently in school 6) who do not want to travel to a distant school location to take a course & 7) prefer not to study in a traditional classroom setting. You will complete 150 hours of coursework and class lesson planning exercises that prepares you to teach English abroad. This is a comprehensive course but is managed by a university level instructor with a MA degree and over 10 years of ESL teaching experience who will grade your course materials and issue your final certificate of completion. Participants in TEFL 150 hour Correspondence Course are sent by email 10 modules to complete. After the first module is completed and returned to the TEFL Professor it will be graded and returned with the instructor's comments and feedback to help facilitate continued learning. The next module is sent out after the previous module has been graded and returned. Participants work to complete the course at their pace and are able to complete the course within as little as 1 month, but up to 12 months, with the average student finishing in under 3 months. The TEFL Basic is an innovative and comprehensive course that exceeds the typical online TEFL Instruction offered by other companies. It is the first of its kind in the TEFL field that allows participants to learn at their own pace monitored by a certified TEFL instructor with over 10 years of ESL teaching/teacher training experience. Remember that your instructor is here for you. Many people believe that online learning means there is no teacher and that is simply not true. You have your own private teacher for this course and your instructor is your coach and mentor throughout the entire course and is there for you when you have questions, comments or concerns. All of our instructors are university level professors with a minimum of a MA degree and have at least 10 years of teaching experience. Take advantage of the support and attention of your mentor teacher, and you will get the most out of the 150 hour certified TEFL correspondence course. Email your instructor if you have any questions about the course, course contents or assignments. Develop an awareness of the field and practices of TEFL enabling one to be a successful ESL teacher. Develop an understanding of the components of the English Language as related to teaching English to non native speakers. Develop appropriate lesson plans for your English Language Learners in all skill areas. • Assess your own learning through quizzes, assignments, lesson plans and reflections. NOTE: Upon successful completion of this online 150 hour distance learning TEFL course you will receive a Certificate in TEFL after completing a minimum of 20 hours of observed ESL/EFL teaching practicum. Ask you TEFL Instructor where one can obtain the minimum of 20 hours of ESL/EFL teaching experience and for those of you with documented ESL/EFL teaching experience this requirement will be waived. You can also finish your TEFL certification in Korea and the 1st 20 hours of your teaching experience can be counted as your 20 hours of practicum. Your TEFL certificate will enable you to obtain better ESL/EFL teaching positions and in most cases will bring you a higher pay rate and it will be your passport to many adventures in foreign countries. These classes are perfect for current regular TEFL certificate holders that are looking to add extra TEFL specialist endorsements or for non-TEFL certified individuals who want to earn more money teaching high paying private classes by being able to shore up their resume with a certified specialist TEFL course. These specialist modules are perfect for the ESL teacher that is serious about wanting to be highly effective in teaching Business English to adult ESL learners. These courses will help one to be able to teach a step by step 8-10 week course to adult business students or to a private high paying business man. These business TEFL courses will help you to obtain and retain high paying business man and adult ESL students and this course will pay for itself in the first two or three hours of you teaching a high paying 1 on 1 business man private course or larger adult class and you will feel very confident to teach a business English course after learning a systematic instructional course that you will modify to make it your own and to make it more fun for your students. If you sign up for our TEIK 150 Hour TEFL course we will offer a specialist endorsement at 50% off. You cannot beat the value of this program for content or price as you can see from 10 similar programs listed below. Our TEFL course will even allow you to use current teaching experience for your 20 hours of teaching practicum if you are currently teaching ESL and if you are new to teaching, no problem, you can volunteer to teach ESL in your community to satisfy your 20 hours of practicum requirement. The 100% on-line option will also save you hundreds or even thousands of dollars because you will not have to fly to where the school is located and you will not have to pay for accommodation. It's definitely been an adjustment process, but I think we're done walking around with our mouths open amazed at our surroundings, and trying to recover from jetlag. Thank you so much for this opportunity and for placing Phil and I! The school has been treating us very well. I'm in kindergarten and Phil is upstairs teaching the older kids. Since we have such different schedules they've agreed to put us in separate apartments, which is great for us. Actually, the assistant director is taking us out to Costco tonight in Seoul so we can get stocked on the necessities...cool lady. The whole staff has been wonderful in showing us around and making sure we feel comfortable and at home. The school is great! Everything is as good or better than I had hoped. Lots of work to do, and lots of things for me to learn, but the kids are so cute/great that it makes everything a pleasure! (Sometimes a headache-like pleasure, but I'm hoping I'll adjust to the noise level that seems to be the status-quo around here). No pictures as of yet, but if you'd really like them I could work on that. Thanks again for all of your amazing help! 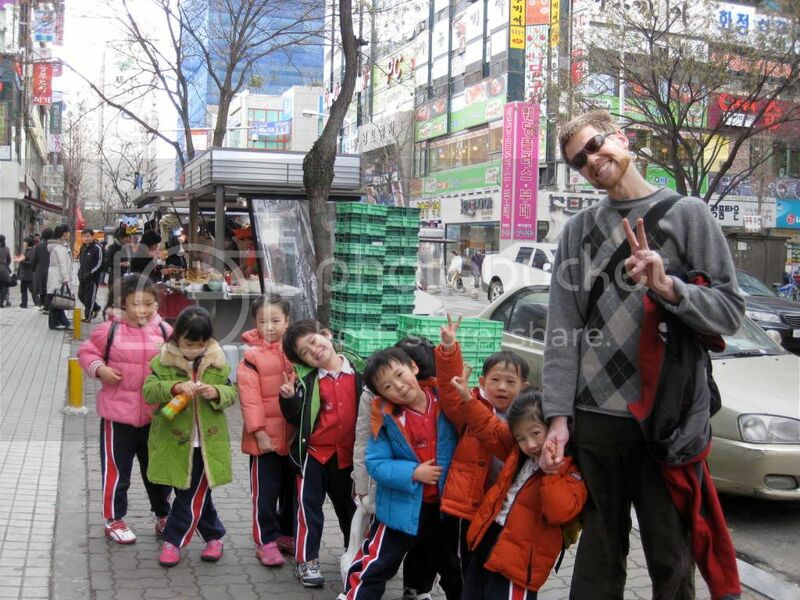 I've been talking with my friend Tim, and he seems pretty excited about possibly teaching in Korea! He really is a great guy, and would make a brilliant teacher over here. I hope you find him someplace as nice as you found for me! The school is great. You're welcome to use anything I've said of course. I've got the best set-up of anyone I've met here...which is of course why I recommended you so strongly to Tim. Thanks again for your amazing help! Thank you again soooo much! Hey guy, thought I'd send you a quick note letting you know that every thing is going great for me. That first day was quite the whirlwind, but things after the first week have gotten much better now that I know a little more of what to do and what to expect. Absolutely love the kids. For the most part! Yeah the bigger classes and the older ones can be a little bit of a challenge to keep their attention, but still I couldn't have imagined myself having a better time overall. They've been getting my apartment room ready for me this week, and tomorrow I move out of the hotel and into my apartment, so I'm looking forward to that. Today was a really great end of the week too as the kids turned in all their stamps (for excellent work etc.) for school 'money' where they could purchase supplies like pencils, pens, erasers, fun play mats, etc. I'm not sure though if they were excited more for the chance to get free stuff or the fact that this took the place of their normal classes...! The other teachers here are also just a joy to work with...Korean and English speaking. There's another guy from the States who's just a riot and another lady who is from New Zealand who is just as nice as anyone can be. All the Korean teachers are just fabulous too. Well anyway, don't mean to keep rambling but I'm just so psyched to be here. So thanks again for making it all happen. I had a general idea of what to expect when I chose to come to Korea to teach English, but the actual experience is far different from anything you could imagine. Whatever your goal in your stay, it can be easily accomplished, while gaining more that you might not realize until reflection. I would highly recommend establishing what you want from your experience, listing what you need to make your stay the best possible, and utilizing agents like Brad Brennan who have been there themselves, and are making themselves open to help you get the most out of your time abroad. Once you make the decision, I can guarantee it will not be one you will regret. So far I am having a good time here in Korea and I feel really lucky to have been placed in such a good school. Working with you was great and I felt you were honest and very helpful. This first month has simply flown by and my goal now is to learn some Korean. I will highly recommend you (T.E.I.K.) to everyone who is looking for a great school. Thank you so much for how helpful you've been with this whole process. I'd be more than willing to send any photos or video I take while I'm away, and I definitely wanted to write something for you describing how great you've been, helping me and about my experiences here in Korea. I figure it'd help you out, but honestly the website is very very informative already. Hey Brad, I've finally gotten Internet at my apartment. I've almost been through a week of classes, and I've already made a major circle of people that I hang out with. I've got groceries and power cables, and all that jazz. I love it. The kids are great, the school you placed with me is great (Thank you so much for that), and I love the city (despite it's so, bloody hot, well for me at least). Minja, my director is one of the nicest women I have ever met, and co-workers to die for. Thanks so much. Seeing how fast this week has gone I can tell that this is going to fly by and it is going to be a trip to say the least. I included some photos of my school and apartment (wow did I luck out there too, it's about a 10 minute walk to the school) I'll send you a few more of any crazy adventures I have (and I will have a few, there is too much history here to pass up). In the first picture you can see me (third on the left) with my co-workers out having a great time in Busan and the other photo is of my APT and I have a view of the harbor on a high floor. I love it! Thanks Brad! Our boss, Mr. Rhee has treated us exceptionally well and granted our every wish, and then some! As teachers at his school, we are all very spoiled! About twice a week, he or his wife will bring in a sweet treat to share in the morning or treat us all to pizza in the late afternoon. In addition, we are served a Korean lunch every day. Coco and I are open-minded and have eaten everything we've been offered - well, almost everything. We have adapted rather easily and I am sure it is due to the extra nice boss and staff. Thank you SO MUCH for finding us such a nice placement! It's everything you said it would be and more! Hi Brad,Here are the cuties! 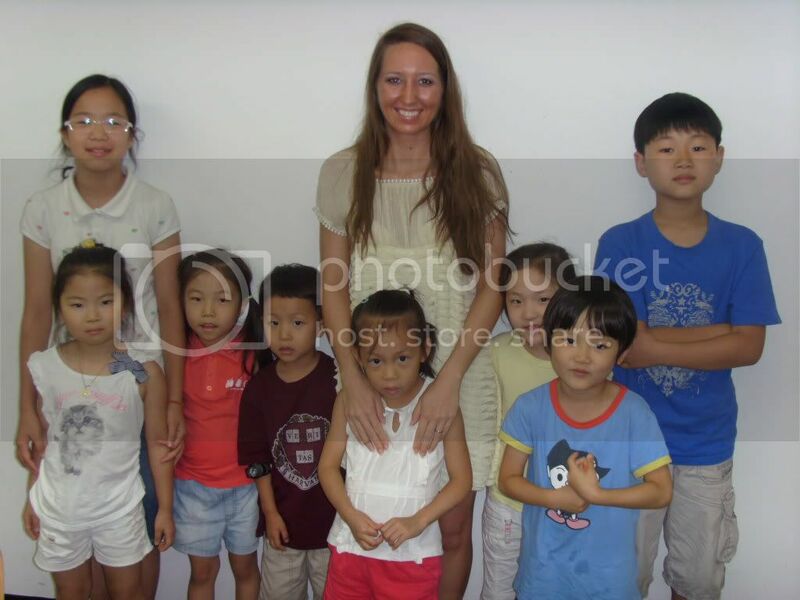 The picture that includes me is with the 7 year olds. The other picture is the 4 and 5 year olds. I have some photos of my apt if you are interested in seeing them or posting on your web site. I have heard that it is especially nice. I am quite comfortable here! Coco has a more convenient location (across the street from school), but I have a slightly better layout and amenities. For example, I have a good-sized closet! From what I've heard, closets are rare in Korea! In addition, Coco and I both have satellite or cable TV, high-speed Internet, a washer, and air conditioning. We have been especially thankful for the AC since it has been brutally hot and humid! Thanks again for all of your help and for placing us at such a great school! 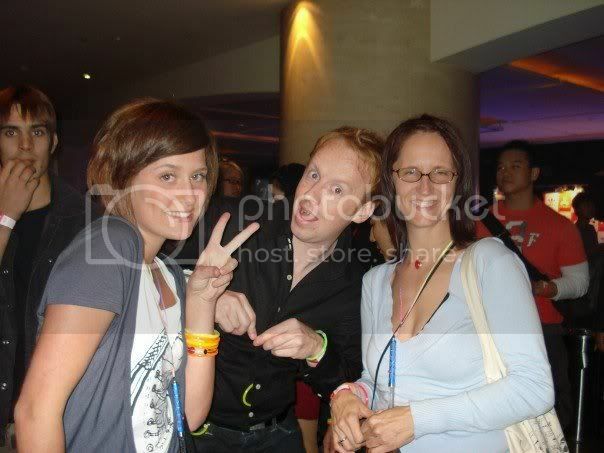 Having fun, meeting great people and really love Korea although I do get homesick at times. I miss my dog, my boyfriend and baked foods covered with cheese but other than that I am doing just fine and I love my school and the kids are so cute! Brad, take care and thanks for all that you have done. This is an experience of a life time and I'm so glad that I did it! 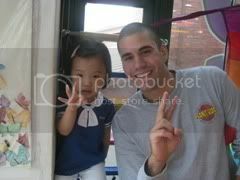 Hey Brad, Thanks for finding me such a great job in Seoul. I love the central location - nothing is too far by subway. I can easily walk to school in under 10 minutes. The kids are AMAZING!!! I love them more each day, although at times they are very naughty, I can't stay mad at them for more than a few seconds because they are so adorable and their smiles melt my heart. I can't believe how smart they are, especially the Kindergarten students. It makes teaching easy and very enjoyable. The school is very relaxed and there's always lots of fun events planned for the students that I enjoy immensely myself (games in the park, fieldtrips, picnics, etc). The director and my fellow teachers are very friendly and welcoming. 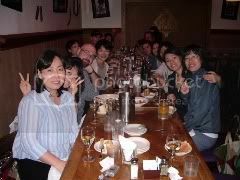 I am even going out of town on a trip soon with one of the Korean teachers and the director and his family. I am in love with Seoul and the Korean culture, and I don't think I will be going home after my year is up. Thanks again! Things are pretty good here and I think I've finally settled in. From what I understand, after talking to many teachers in the area, I realized that you placed me in a really good school. The teachers here are all cool and supportive. The kids...they're a handful at times, but are pretty enjoyable overall. 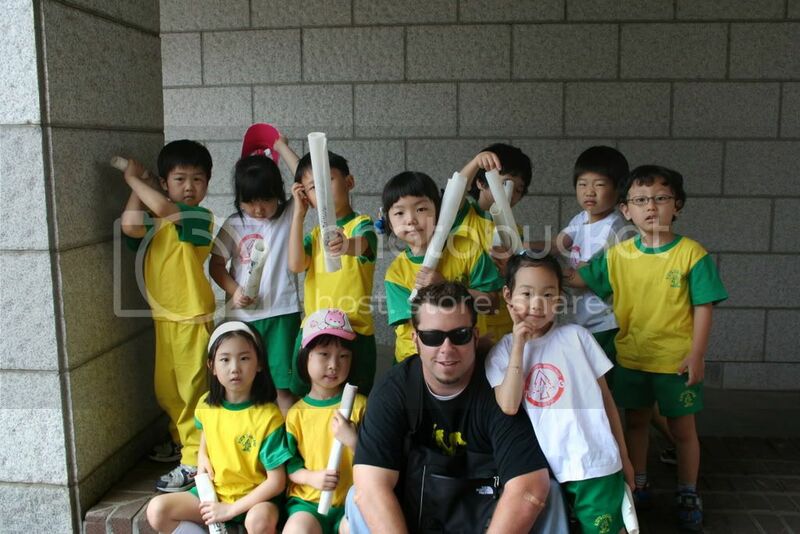 I've included a picture of me and my class on a field trip for your site. I'm going to Cambodia at the end of July. When are you coming to Korea? I'd like to grab a beer with you. I'm so sorry I've been such a delinquent about getting back to you. I apologize. Things are going really well. Cheongju and the school have been a really good fit for me. Stanley, the director, is a good guy, and I'm more aware of this after hearing some horror stories from other people about how their directors have yanked them around. I have a couple buddies who have not had the best of luck with that, so I'm glad you set me up with a trustworthy director with an easy teaching system. I've made some really great contacts by now, almost 5 months into the contract. I am learning traditional Korean ottery from a master potter who has invited me to join him and the tea club (a bunch of older men who like to sample traditional teas and have ceremonies) to a Temple Stay to learn how to properly prepare ancient ceremonial eas. It should be fun. I play for the Cheongju Tigers, a soccer team comprised mostly of foreigners, and I've gathered some good friends from that. I go to the Korean language class at the YMCA on Saturdays (not the ones after certain Friday nights), and I'm starting to get somewhat comfortable with the language. Anyway, I'm doing well, and I look forward to meeting you in the summer. How are you Brad? I'm sorry I couldn't make it to the TEIK get-together when you were in Korea last week, I was visiting my aunt and uncle in Gangwando on the east coast over the weekend. AnyWay, I love korea, it's everything I wished for and more! I love the school I'm at now and my apartment and roommate are great. please let me know about any future g.t. 's ahead of time. Take care and keep in touch. I know it's been awhile since I've contacted you. I can't believe seven months have passed so quickly. It's been a wild ride. There have been several ups and a few downs, but all have been great learning lessons. My daughter Madison has enjoyed the experience as well. 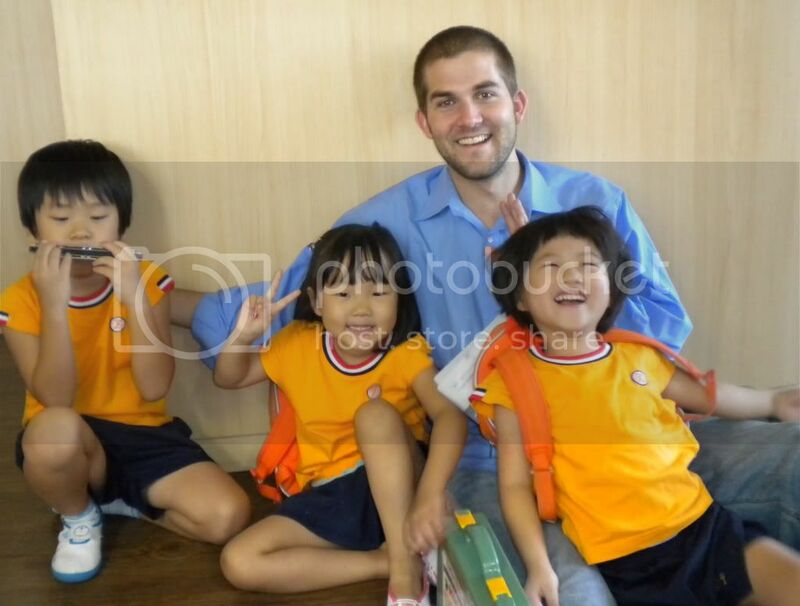 The language has been more difficult to learn than expected, but part of the problem has been that we have kept so busy with home-schooling, traveling to Thailand and China, and all over Korea, volunteering at an orphanage, and working on TEFL certification. Loved the work you did for me and my daughter in obtaining my first contract and in helping to sort out a few problems with my school and apartment. The kids are really amazing and I love working with them. I've enjoyed the area I've been living in, but would like to try another area and I look foreword to working with you again to find my next position. Hey Brad! All is fantastic in Seoul. I am situated at an iSponge Kindergarten school on the East side of Seoul just below the Han river. Teaching young children is a delight and quite rewarding. While there can be challenges at times, it is generally a wonderfully fun experience and all part of the adventure. I teach three classes over the course of a typical work day. The environment and organization of my school is great! The school design resembles something out of Disney World or Alice in Wonderland and it is the perfect environment for small children. Additionally, my school is newly constructed so everything is neat and clean. Resources and materials are also fantastic which makes teaching that much easier to conduct. The curriculum from iSponge is awesome and lessons are detailed and well laid out. Generally work days are fluid and relatively low stress. I am so happy where I teach! Seoul itself is an amazing place to be. The city seems to have a pulse all its own with an energy and life that is easy to identify with. People are friendly and there is never a shortage of things to see and do. Admittedly the food was hard for me to get used to initially, I have now found my footing and have several local restaurants I'm accustomed to visiting often. One of my greatest surprises was how clean the city actually is and especially the subway. The subway is simply an engineering marvel and is one of my favorite aspects of Seoul. The city is great and there is always something going on. New York may be the city that never sleeps but Seoul is the city that never stops. 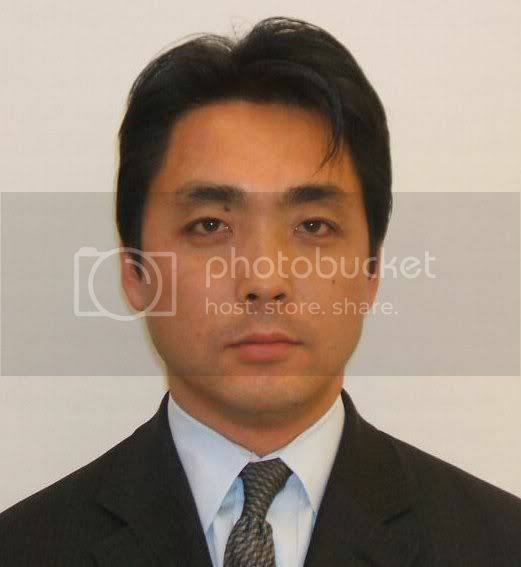 I would like to thank you for your dedicated services to get me to this country. I was thoroughly impressed with your hard work, dedication and approachability. I've heard many troubling statements about the process to get here and it was comforting to know I was in good hands with your services. 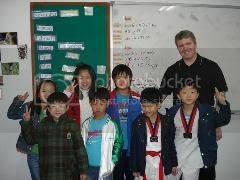 I would recommend you to anyone interested in teaching in Korea. Hey Brad, Thank you for placing Matt and I at such an amazing school. We are extremely happy here. They provide full curriculum and all we have to do is decide how we would like to teach it. Also, our school is very flexible and allows us to alter their curriculum at anytime, if we wish to do so. The class sizes are the best part - I have 7 students in the morning and 6 in the afternoon. It makes teaching and building a relationship with the students very easy. We are very pleased with our living arrangements. We have a two bedroom with a full kitchen, living room, bathroom, and laundry room. It is so nice to have a place to go to every night that really feels like home. Our school purchased everything in our apartment right from our washing machine, to kitchen utensils and an air conditioner. We couldn't ask for anything more. We have met a lot of cool friends and are taking in the culture to the fullest extent. We make taboo actions and comments daily but its all apart of the experience. It was so nice to have dinner and drinks with you last month. If you come to Korea again in October be sure to let us know so we can do it all over again. Also, have we told you how nice it is to still have you as a support system? We were discussing how we can contact you about anything and how you reply immediately. We have friends who haven't spoke to their recruiter since they boarded the plane, not cool. 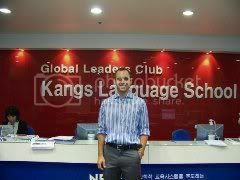 I'm having a great time teaching in Korea and thanks for setting me up at a great school. 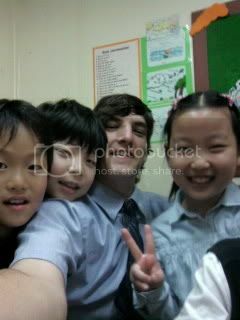 I love the kids and I'm adjusting well to living in Korea. 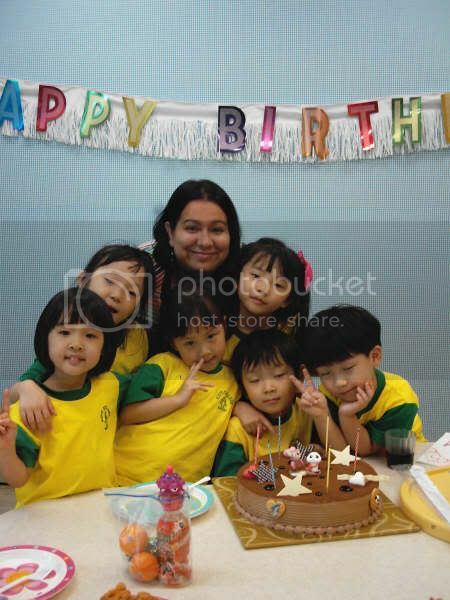 This picture is of a birthday party. Birthdays are great, your class gets to have a birthday party for every student. It's so fun to be apart of them. Each child brings a gift for the birthday girl or boy and helps them open it. Its so cute. Please take care and thanks again for everything! I really appreciate you staying in contact with Alysia and I after we arrived here in Korea. Everything here is going well and we're having a wonderful time. The school is great, my director is amazing, and the location is good. We're just outside of Seoul and everything is a short subway ribe or bus ride away. 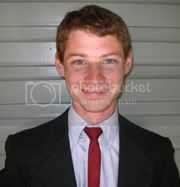 Attached are some pictures for you to use on your testimonials page on your website. Thanks again for your help and please keep in touch.